VISIT FLORIDA was in the midst of a website redesign, and the organization and its agency wished to test its prototype website and mobile website prior to full launch. Their goal was to determine if the new site was achieving its intended objectives and identify any experiential and usability issues that should be addressed before the site launched. Once the new website, VISITFLORIDA.com, was in effect for one year, VISIT FLORIDA wanted to again test its full website and mobile website to see how they could be adapted to better serve potential visitors and improve the user experience. Destination Analysts conducted comprehensive website usability testing in two segments using our online videoconference system. Our website usability testing entailed in-depth interviews with 30 potential website users who live in key feeder markets. Respondents viewed the website on their own desktop/laptop computer, tablet or mobile device. Because these usability testing sessions were conducted online, respondents could participate using their own devices in their typical environments. The interview moderator and any observers from the VISIT FLORIDA team were also able to remotely view respondents’ real-time interaction with the website (all cursor movements, typing, etc. ), as well as their emotional responses. 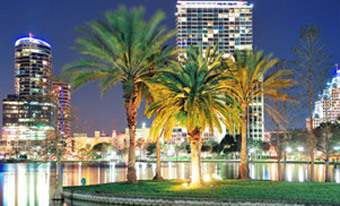 During the in-depth interviews, respondents completed travel-related planning tasks and generally interacted with VISITFLORIDA.com while discussing their reactions. They also provided their opinions and feedback and responded to questions asked by the moderator. VISIT FLORIDA’s agency used these findings to direct additional design and content development and modifications for VISITFLORIDA.com. We were beyond impressed…we were very very satisfied. Not only was the research thorough and detailed, I really loved that it was in real time.